Wristbands as low as 1.6¢ each! 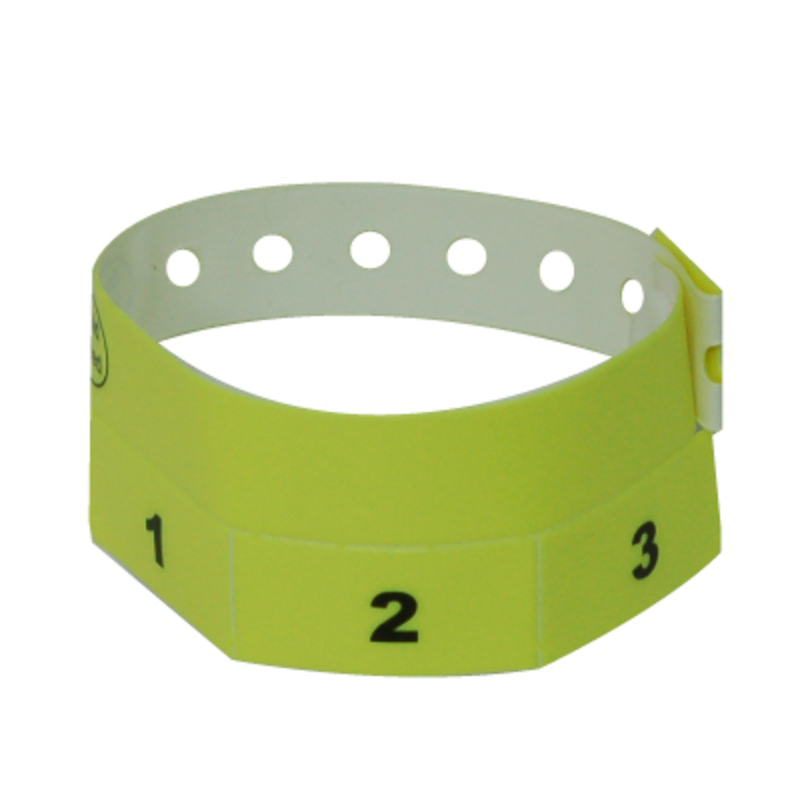 $45.00 for 500 Neon Yellow Tear-Off 3-Tab Vinyl Event Wristbands, that's just $0.09 cents each! Our new line of Tear-Off Tab plastic wristbands include detachable tabs to help you keep track of things like drink tickets, ride usage, or meal vouchers. Just tear one of the vinyl stubs from the wristband and hand out your items. These wrist bands are highly secure and non-transferrable. Tear-Off Tab wristbands are great for longer, extended events at nightclubs, bars, festivals, and more! Need to identify guests at your event or venue? Our plastic armbands are brightly colored, fluorescent and easy to see in the dark! One size fits all. Just wrap the wristband around the wrist of your guest and secure with the one-time snap. Once in place, it cannot be transferred to another guest. Vinyl Tear-Off Tab Wristbands are available in 4 colors and come with 3 or 5 tabs. Please note: Our 3-tab wristbands take 3 business days to produce before they ship! Sold in multiples of 500.